Tracie Kirkland is part of the adjunct faculty in the Department of Nursing. She currently serves as an adult and pediatric nurse practitioner at the Memorial Hermann Medical Group Katy location in Texas. Her clinical interest is in prediabetes screenings and screening for diabetes in the workplace. She has 20 years of experience as an adult and pediatric nurse practitioner and more than 25 years of experience as a registered nurse in a variety of clinical settings. 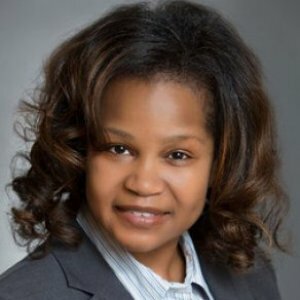 She previously worked as an adult health nurse practitioner, pediatric nurse practitioner and research coordinator at Johns Hopkins University. She also has experience as a practicing nurse practitioner in family practice, internal medicine, long-term care, retail health and corporate health/occupational health and work experiences in large academic teaching facilities as well as private practice. Most recently, she worked in academia at Texas Woman’s University and the University of Arkansas. Kirkland is co-principal investigator of several research studies examining hydration and the effects of glucose regulation with Stavros Kavouras at the University of Arkansas. She has presented at the national, state and locals level for several professional organizations. She was also part of a collaborative grant writing team that secured Health Resources and Services Administration funding aimed at helping meet the health and wellness needs of Arkansas’ medically underserved populations. In 2015, she received the Eleanor Mann School of Nursing’s Service Award from Pegge Bell, former director of the school. In 2014, she received the Most Supportive Professor Award by the Single Parent Scholarship Fund of Northwest Arkansas and the Women in Health Community Award from the Phi Alpha Omega Chapter of Alpha Kappa Alpha Sorority, Inc.
Kirkland earned her doctorate in nursing practice from Texas Christian University, a master’s degree in nursing from Virginia Commonwealth University and a bachelor’s in nursing from Hampton University. She received postgraduate adult nurse practitioner and pediatric certifications from Johns Hopkins University.